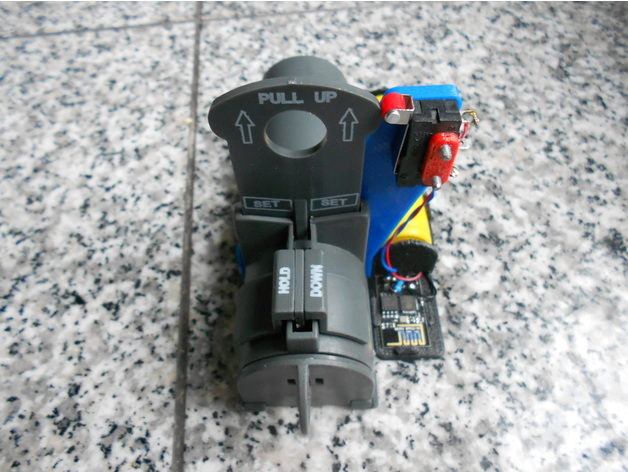 ESP-01 Mouse Trap #3DThursday #3DPrintingESP-01 Mouse Trap « Adafruit Industries – Makers, hackers, artists, designers and engineers! When you live in the country and have multiple buildings to deal with, there’s always the threat of rodent attack, now you can leave a trap and not worry about checking it all the time. This uses a micro switch I got on Amazon, I’ve included the nut plate, I used 2-56 screws, but you could use m2.5 as well just drill the holes to fit. The battery/ESP holder started out life as https://www.thingiverse.com/thing:535688, (thank you) with some modifications, there is a box on the bottom corner that gets removed to fit trap frame. I glued the whole thing together with PVC pipe glue. I made 4 of these all different colors so I can track where they are and which one has tripped.